If you are a salad lover like me I guarantee that you’ll love this one. Super easy, tasty and low in calories. It’s the winning formula! All you need is some greens of your choice, I usually use a mix of spring greens, kale and baby spinach, fresh mushroom, cherry tomatoes and strawberries. You can add your choice of cheese, though remember cheese usually contains a lot of calories and fat. I recommend goat, mozzarella or feta cheese. 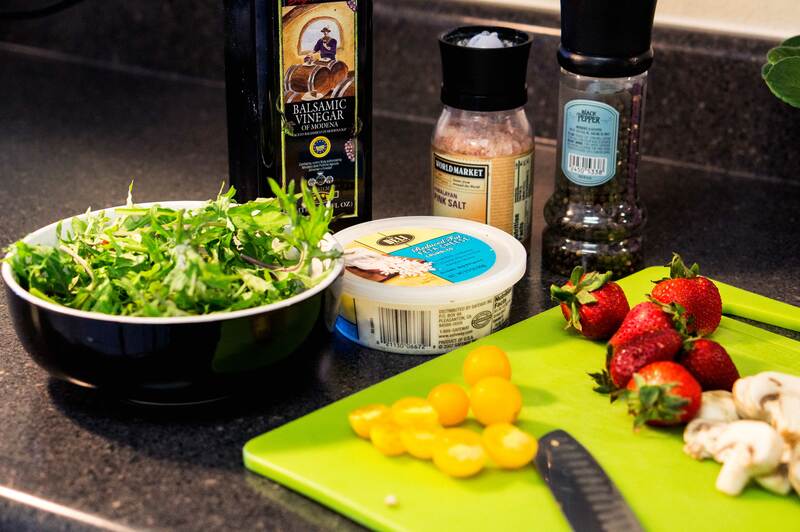 For the dressing all you need is some balsamic vinegar, salt and fresh grounded pepper. 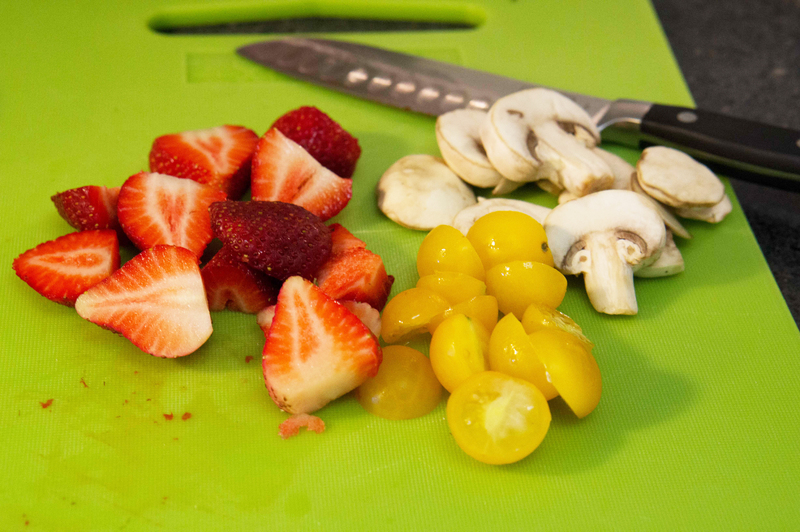 Cut the mushrooms, cherry tomatoes and strawberries then add them to a bowl of fresh well washed greens. A little tip for cleaning your vegetables well is soaking them for fifteen minutes in a bowl of water that contains a tablespoon of white vinegar. The vinegar helps sanitizing the vegetables and killing the germs due to it’s high level of acidity. 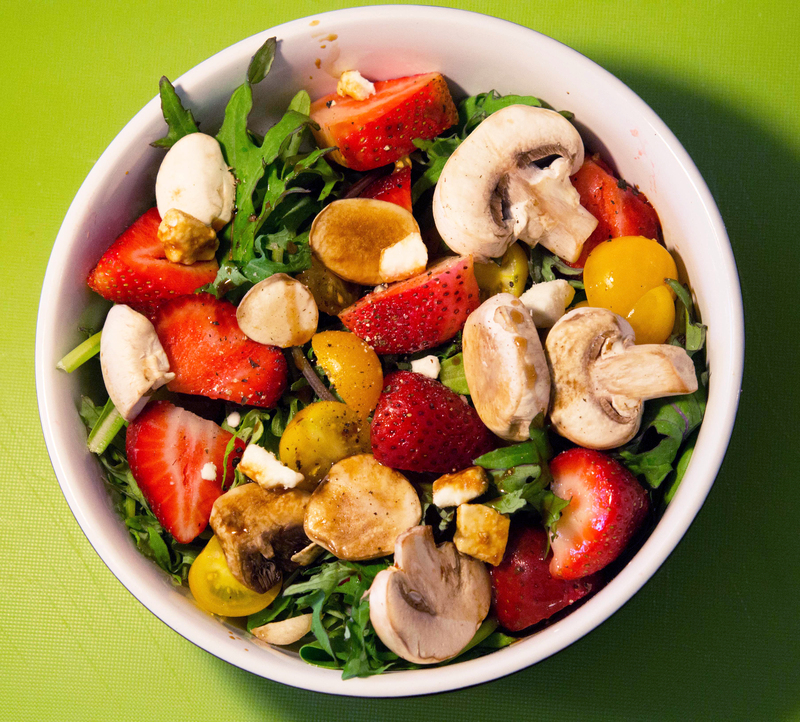 After adding the mushroom, tomatoes and strawberries to the greens add the cheese of your choice (optional), balsamic vinegar, salt and pepper to your taste. Et voila ! 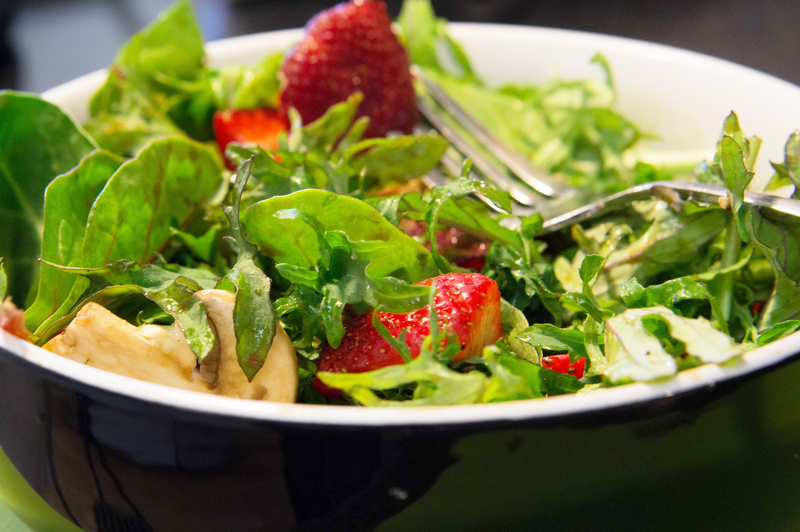 A very yummy and refreshing salad done in five minutes.